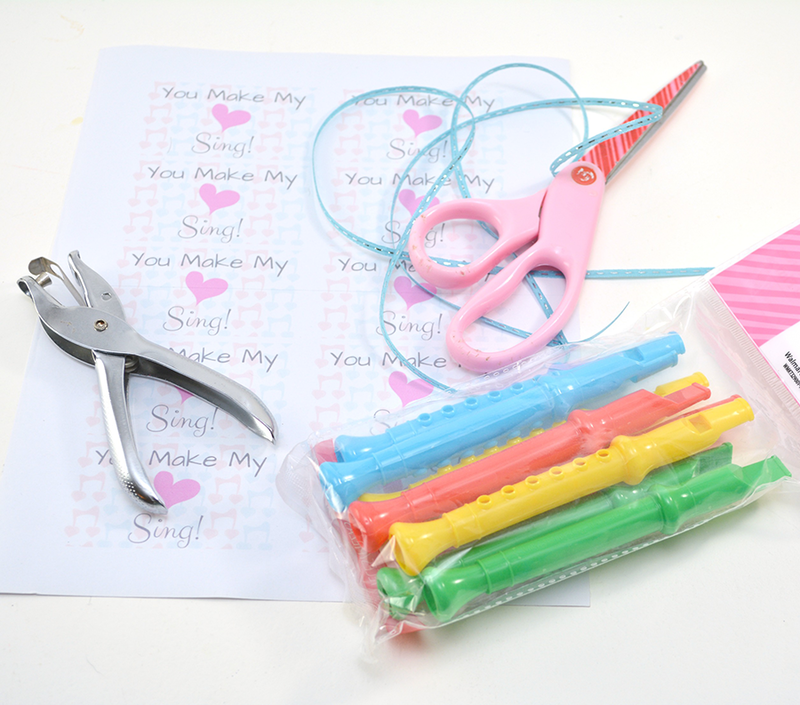 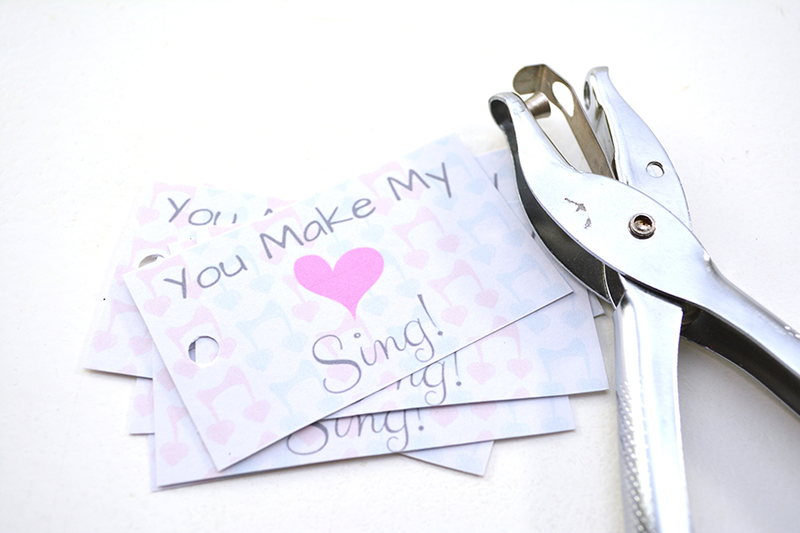 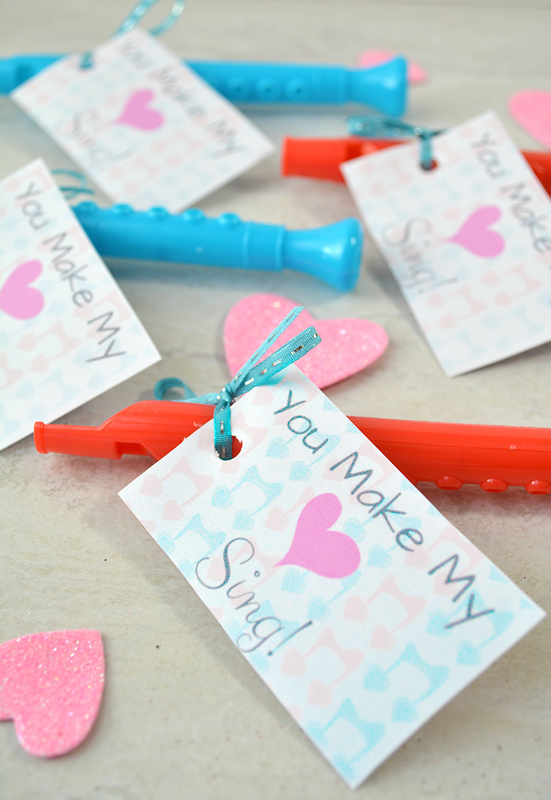 1.Cut out the Valentine’s from the “You Make My Heart Sing” printable. 2. 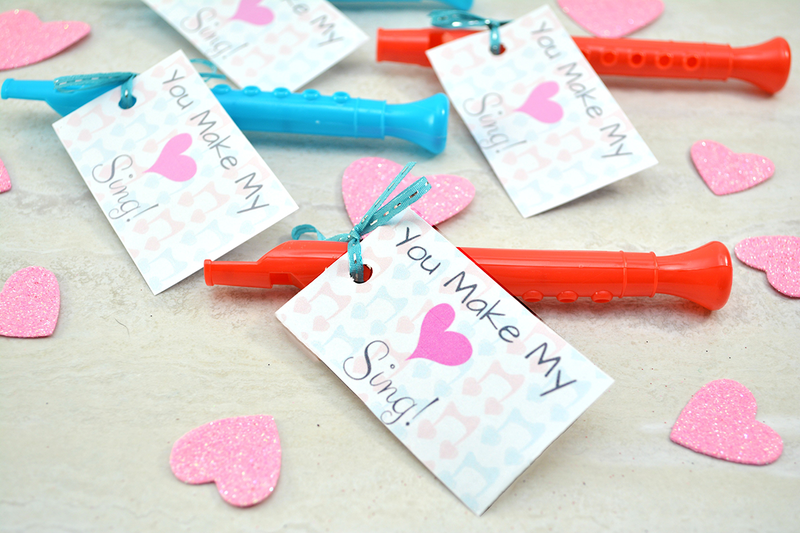 Punch a hole in one corner of each Valentine. 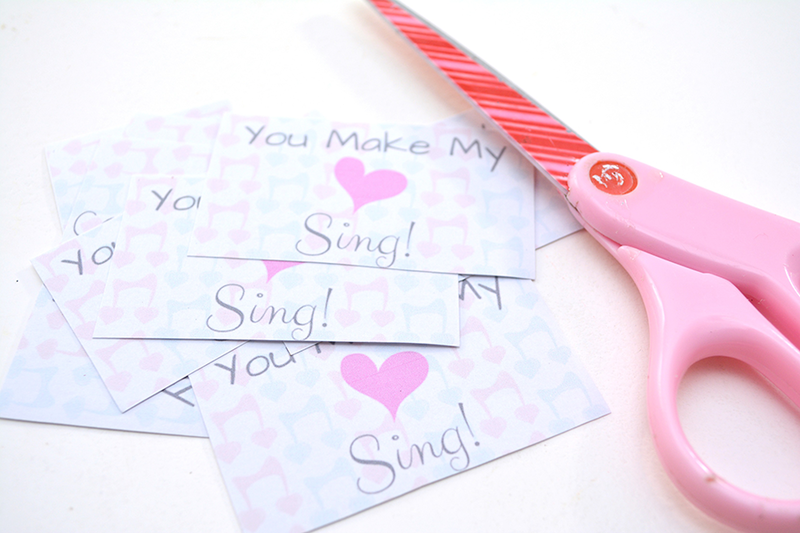 3.Punch a hole in one corner of each Valentine.